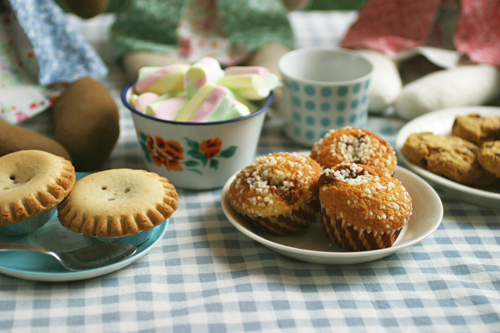 In celebration, the rag-bears had a picnic in our entryway, since it's still very much winter outside, with even more snow falling today. 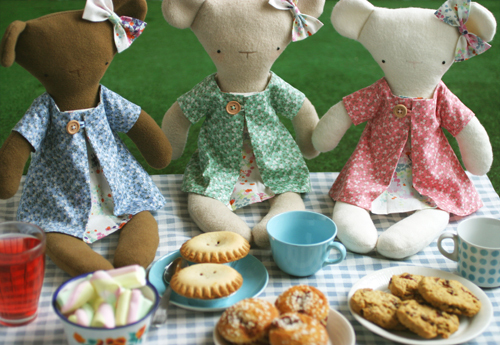 Nelly (on the left in blue), Patty (on the right in pink) and Winnie (who's played by Noëlle, because I didn't have any toffee wool left, in the middle in green) had yummy muffins, berry pies, cookies and marshmallows with strawberry juice, while sitting on their picnic-blanket on the...um, astroturf. I went to the Craft Fair today, and now my feet are aching, but I'm super happy! I really like this particular fair, there's always really great suppliers and crafters there and lots and lots of fabulous crafty goodies to splurge on. 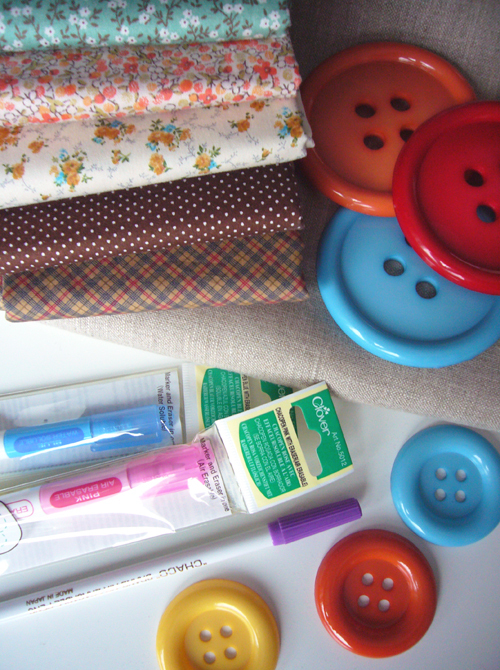 I got some sorely needed air-erasable fabric markers, and I found brilliant big buttons! The biggest buttons are about 26 cm in circumference and I think they might become brooches and head-dresses in the future. The smaller ones will most likely end up as the same but for Rag Pets. I found gorgeous, soft linen at the fair. I've been looking for linen like this for ages, and I'm so happy that I found a Finnish supplier with very reasonable prices. I had 10 meters of lovely un-dyed linen that I got from my gran (who got it in Tallinn), but I ran out of it some time back. I love working with linen, how it becomes soft when you handle it and even how pure, untreated linen smells. 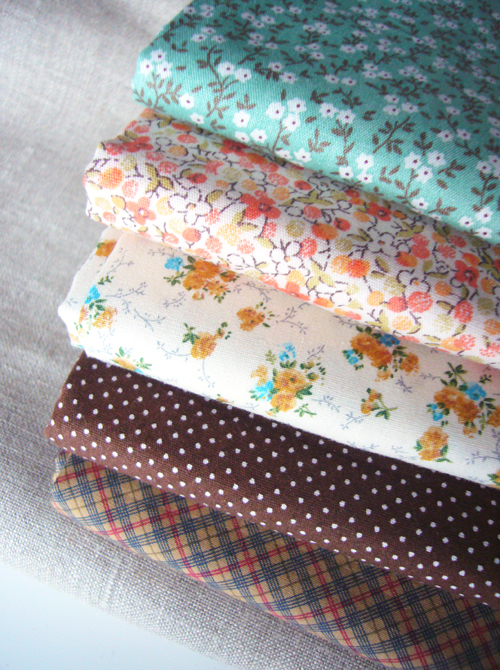 I also got yummy printed quilting cottons from a shop I buy from every time I go to the craft fair.